I get a lot of marketing emails, most of which I don't have time to read thoroughly. 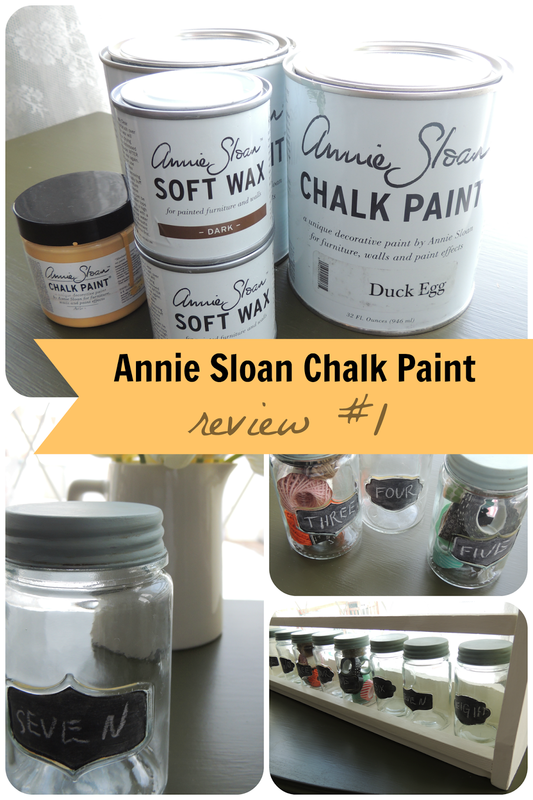 But when I got one about the outdoor possibilities of Chalk Paint™ decorative paint by Annie Sloan I had to respond. I've read a lot about the paint, and seen some gorgeous pieces painted with it, but to be honest, the price for a quart of paint was holding me back. I'll keep a tally of how many projects I can eke out of a quart. This year marks the 25th Anniversary for Chalk Paint™ decorative paint by Annie Sloan. They sent me two quarts of paint in colours I selected (Duck Egg and Old White), along with a sample pot of my third choice (Arles). Also included were two small pots of Soft Wax (Clear and Dark), a gorgeous brush (which I apparently forgot to take a picture of), and the book, Quick and Easy Paint Transformations, by Annie Sloan (CICO Books). What impressed me about the book is that there are so many effects to be achieved just from the way the paint is brushed on. The thickness of the paint can be manipulated for different uses, and even the wax can be played with. I can tell that Annie Sloan has fun working with this paint. The book details numerous different techniques for using this paint and wax. I can't wait to try more. For my first project, I wanted to try something small and simple. I had this little wooden rack/shelf/thingamajig that I found at the MCC thrift store and bought simply because it looked farmhousey. I think it was around one dollar because it was Wednesday and I drew a 75% off card at the till. I have no idea what this thing's original purpose was. After I bought it, I simply sanded and distressed it and called it a day. It held my china platter in the kitchen for awhile. I have used many different kinds of paint in my almost-seven years as a blogger and DIYer: Regular latex wall paint, acrylic craft paint, oil paint, homemade milk paint, homemade "chalk" paint, etc. And I've used a couple of different kinds of furniture waxes: Antiquax, and homemade from olive oil and beeswax. I've never used a soft wax before. So I was excited to try something different. I painted two thin coats of Old White, followed by a coat of Annie's clear wax. The original paint job was really poorly done, so I didn't want to accentuate any of the drippy texture by using dark wax. And as a bonus, I found a new use for it! After I removed one of those square dowel pieces that did nothing but get in the way near the bottom. I loved how smooth the paint is going on. And how quickly it dries. It is quite absorbent, and I'm looking forward to finding out how it fares outside (without needing wax, they tell me). Once dry, the Chalk Paint paint sucked up the wax as I applied it. My favourite features of the paint are that it can be used without preparation (no sanding! ), and ease of clean up (it took seconds to clean my brushes). Working with the Soft Wax is every bit as dreamy as I thought it would be. You can apply it with a paintbrush! No elbow grease required! It was really easy to apply the dark wax and wipe it off (along with the clear wax first coat) to get the smooth finish and look I was going for. I'm NEVER going back to hard wax! I attempted painting with chalkboard paint (cheap, from the Target dollar bin) right on the glass, but that quickly scraped off. So then I tried opening an old can of Kilz primer, and all I got for my efforts was a bruised and cut knuckle and a dried up mess at the bottom of the can. So I thought, Chalk Paint has a reputation that it can be used for anything, I'm going to try it as a primer. I opened up the little sample pot of Arles, and painted two coats inside the embossed area of each jar. For full coverage I should have done three coats. Once that was dry, I proceeded with two coats of the chalkboard paint. So far so good, I was able to gently rub chalk all over each tiny label without damage, and now they all seem to be holding up pretty well with the writing. If it doesn't last, I'll just scrape it off again. Since I was already in painting mode, and was dying to try out the Duck Egg Blue, I decided to paint the galvanized metal lids. Two coats of Chalk paint, one coat of clear wax, and then dark wax to age the finish. I'm quite happy with how they turned out! And I love the Duck Egg colour. It's the perfect grey-aqua, and will be tried next on my extra-distressed kitchen chairs. Now, any ideas about what I should use these little jars for? They're currently in the aqua kitchen because I have no appropriate wall to hang the shelf-thing on at this house. I need a white kitchen, I think. 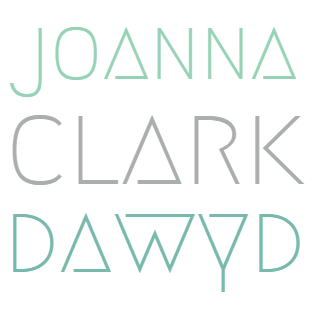 Stay tuned for more Chalk Paint™ by Annie Sloan projects! Like my chairs, and my front porch bench, and . . .
Disclaimer: While I received free product in exchange for an honest review, all opinions expressed are solely my own. Thanks! It's nice to be missed.